Six new children are now attending our Denisa Day Care Centre in Romania, after three exceptionally poor families were discovered living in squalid conditions in the local community. The children are flourishing and are thrilled to be part of the day care centre family. Our Romanian Director, Cami Cismaru, visited the three families in desperate need recently and was moved by the terrible living conditions of these gentle and loving children and immediately wanted to help. Cami manages our House of Hope girls’ home in Dobrun where she lovingly cares for ten girls, and she has seen them transform from vulnerable babies into mature, confident teenagers. Cami took along some of the oldest girls from the home and they instantly fell in love with the young children. A plan was soon put into action to bring the six children to our day care centre each day. On the first day, the six children were so eager to be collected for the day care centre that they were ready and waiting, two hours earlier than the arranged pick up time. They had a wonderful time playing, singing, taking part in educational classes and enjoying their food. When it was time to leave, the children were devastated. It did not take long, however, for the disappointment to turn to joy when Cami told them that they would be coming to the care centre every day. The Denisa Day Care Centre was established in 2007 and is reaching out to 50 children, all in desperate need, from poor families like those recently identified. 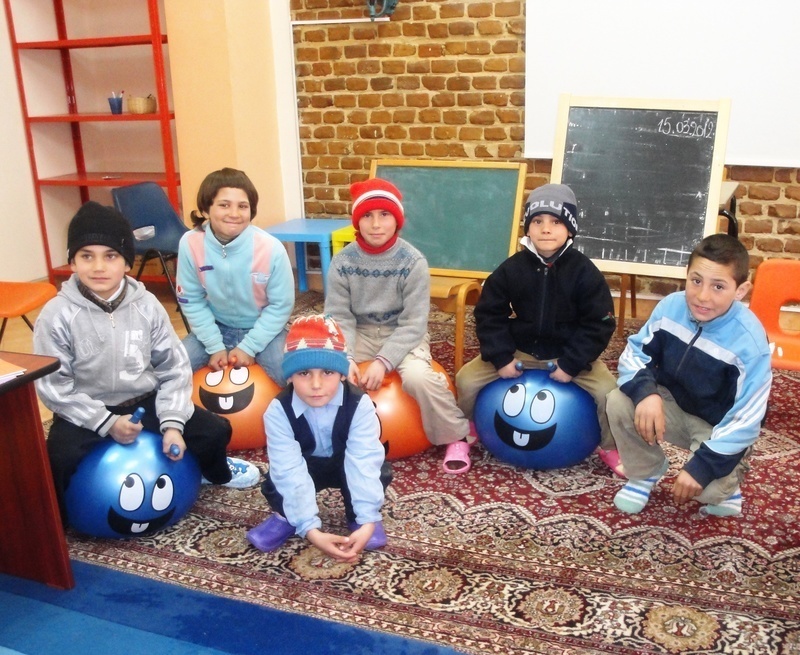 Alongside the educational tutoring and food, the children also enjoy crafts, sports and other leisure activities. Our aim is to fulfil the educational, emotional and spiritual needs long term to give the children greater access to opportunities in the future.